A few days ago I heard the most amazing thing while listening to a Catholic podcast that I love. The priest speaking was giving a mediation on the Incarnation and he referred to it as “charming”—more specifically, he said it was what makes Christianity charming—that God Himself became a man. Admittedly, I was taken back by the verbiage he chose. It felt a little crude, a little simple, a little secular even. But the more I pondered it, the more I grew to love his description. 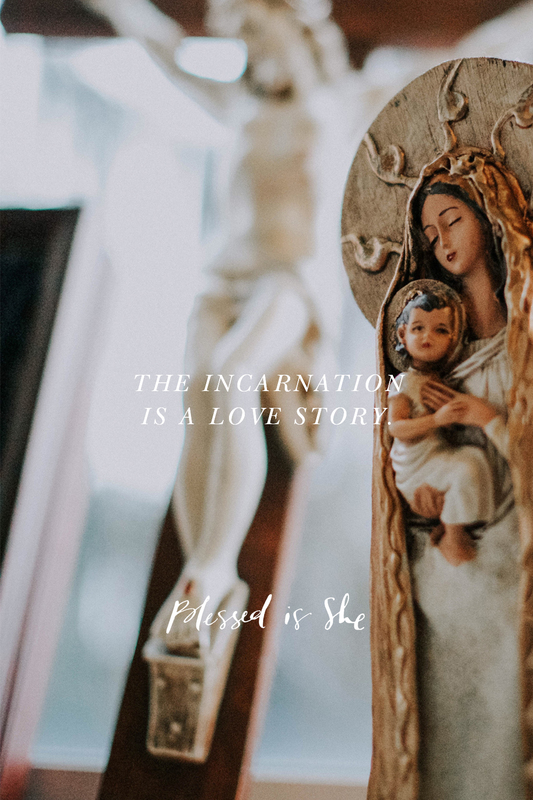 The story of the Incarnation is a love story, after all. It is charming, and adorable, and even romantic. The God of all creation came down to be with us, to love us, be known by us, share in our experience, and be broken for us. It is a story of love. In light of this, I was struck by the reaction of the people in today’s Gospel, those who lacked the faith to see Christ as anything more than the man from Nazareth, son of Joseph and of Mary. The oversimplification of Who Jesus is is the impetus of disbelief. After all, our salvation hinges on the reality that He was both God and man, truly. Saint Athanasius spoke it when he wrote: “God was made man that we might be made God” (On the Incarnation of the Word 54,3). It’s a story that never gets old. Our God is a God Who came down and became weak—a baby, a toddler, a carpenter’s foster son, just to be near to us and to bring us near to Him. How totally charming, how completely lovable, how irresistible and wild, this Love. Saint John Chrysostom offers a reflection on God’s love and our own here. I heard this podcast too! 🙂 Great reflection! Can I ask what podcast you were listening to? I’m always on the lookout for great Catholic podcasts. Thank you. You mentioned a podcast you listen to. Could you please sharethe name of that? Great reflection, what was the Catholic podcast you listened to if you don’t mind me asking? Interesting perspective never thought about it this way. Thanks for sharing!